What gives you hope? For me, today, May of 2018, it’s the same thing that has boosted my flagging optimism for the last 12+ months. It’s a movement, a mission, a project called Putting Women in Their Place and it’s the brainchild of my very own sister, Megan Park. Let’s look at a few brief facts. Without overstating the blatantly obvious, one of the (many) reasons the current government holding power in DC is seriously compromised is that it doesn’t actually represent Americans. In a democracy, the idea is that the government is supposed to be representational. Meaning every American citizen can register to vote and can actually get to a voting booth without obstruction. Meaning that the people voted into power actually represent their interests. Thus, the concept goes, our elected officials won’t screw over the poor in favor of the one percent. They won’t systematically reverse legislation that, after years and decades of fighting and struggle, guarantees the rights of women, people of color, and the LGBTQ. They won’t deny scientific evidence of climate change in order to ensure profits for the oil companies lining their pockets. A democracy means that those in power won’t compromise the free press and lie in order to push through legislation that serves only them. It means that they are voted into office legally and ethically, without the intervention of a foreign power and the corrupt inner circle who greased the wheels for that to happen. And to put it bluntly: 51% of the country’s population is women, and only 19% represent us in congress. 18% of the population is African American but only 9% of Congress is black. 17% of the country is Hispanic or Latino/a but only 7% of Congress is. And 10% of the citizenry is LGBTQ but only half of 1% of the people allegedly representing their interests in Congress is L, G, B, T, or Q. That is not representation. And what about governors? Just as one example, women are sitting governors in only 6 out of 50 states. If I’m doing my math right, shouldn’t that number be closer to 25.5? And it’s not as if they are running for office in equal numbers and simply not being elected. They are not running. The system, is still and has always been, rigged. Society as we know it is still, and has always been, rigged. I was feeling so helpless. Not just in the days after the 2016 presidential election, but as I read the news reports day after day as our precious, gorgeous democracy began to look more and more like tyranny, or at the very least, a corporate oligarchy. And then there were the legislators defending the NRA as more children are gunned down in schools. And the golf trips of the president on my dime. And the hateful and persistent misogyny and racism. Imagine… the man holding the highest office in the land sticking up for sexual predators and Nazis. Megan explains the “trickle up theory” that fills the pipeline with women from the bottom… up. She and her business partner have a company, Little Sprig, that makes videos. That’s what they do. They know how to tell a hell of a story. Her lightbulb moment was a good one. She knew what she could do to enact real change. From the courthouse to the state house to the White House—that’s how. And there can’t be just one or two—not good odds. The political pipeline must be full of women. Women of every color, faith, heritage, sexual orientation. If we support women all the way into office, the demographics inside every legislature, state capital, and DC’s halls of power will shift across the board. And that is exactly what PWITP is ensuring. 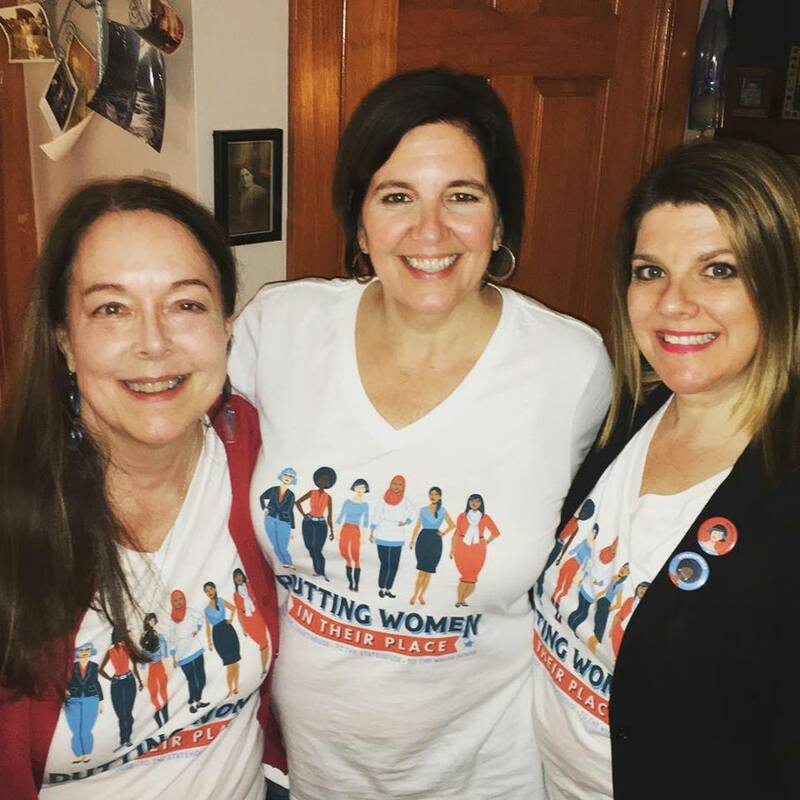 As more and more women step up to run for office –in unprecedented numbers—PWITP is there to help. They’ve already made videos for 65 candidates in 6 states. They made a video for Andrea Jenkins, the first openly transgender black woman to be elected to office in Minnesota. She is City Councilwoman in Minneapolis. Some of the passionate voters (and one candidate for NY Senate) who came out for PWITP. Last week, my home was bustling with passionate, intensely committed people. Mostly women, I admit, but not exclusively. I’d invited them to join me on the day before Mother’s Day to hear what Megan had to say about PWITP. Their current project—called the 1000 Video Project—is exactly what it sounds like. 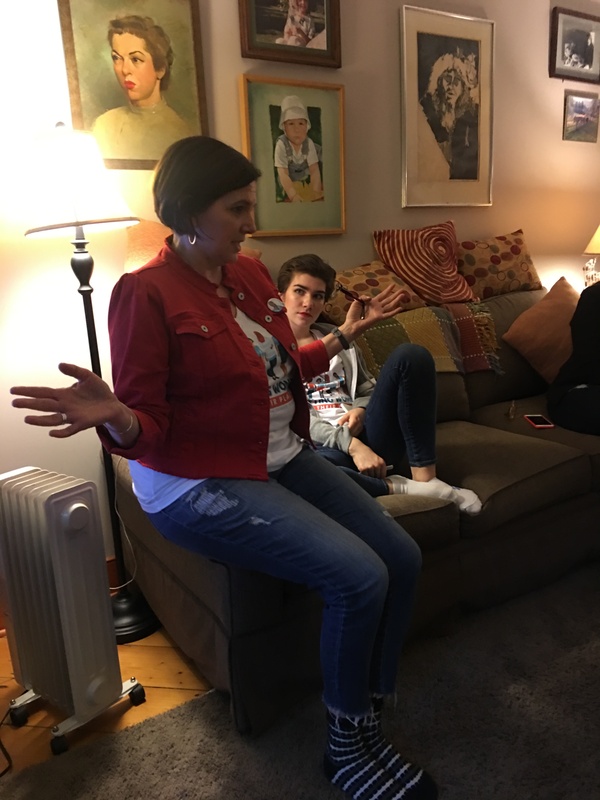 They are setting out to make free campaign videos for at least 20 progressive women candidates in every state. 20 x 50 = 1000. 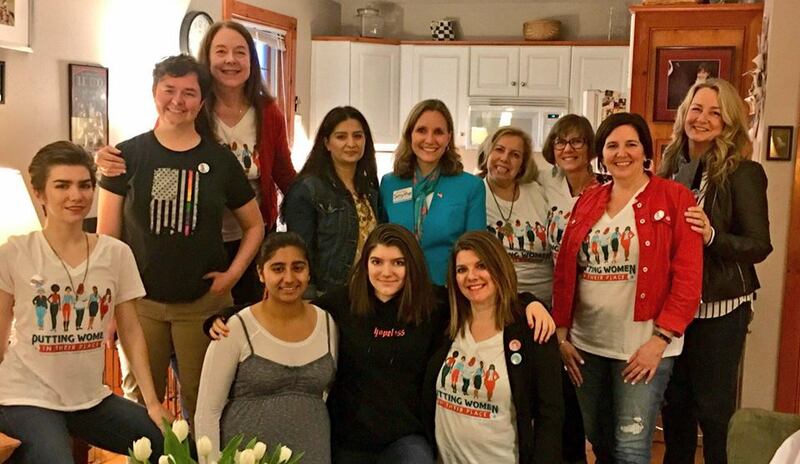 PWITP, as Megan says, amplifies the voices of women who want to serve and have the guts to do it. People left my place that unseasonably chilly evening well-fed, well-informed, truly inspired, and eager to help. This is a real thing that we can do. We can spread the word. We can contribute money as we are able. And we can volunteer, as appropriate. Go to their website. Sign up. Follow them on Twitter, Instagram, and Facebook and share, share, share till they go viral! Tell everyone you know. The future is female. Please join me in feeling very, very hopeful. Me with my feminist, empowered, badass sisters.